We’re always grateful when customers send us photographs throughout their project using Owatrol. This week we’d like to share a deck renovation using three Owatrol solutions – the customer’s deck had a previous coating to remove first, before cleaning and retreating. Owatrol has several products for stripping previous coatings from wood surfaces. 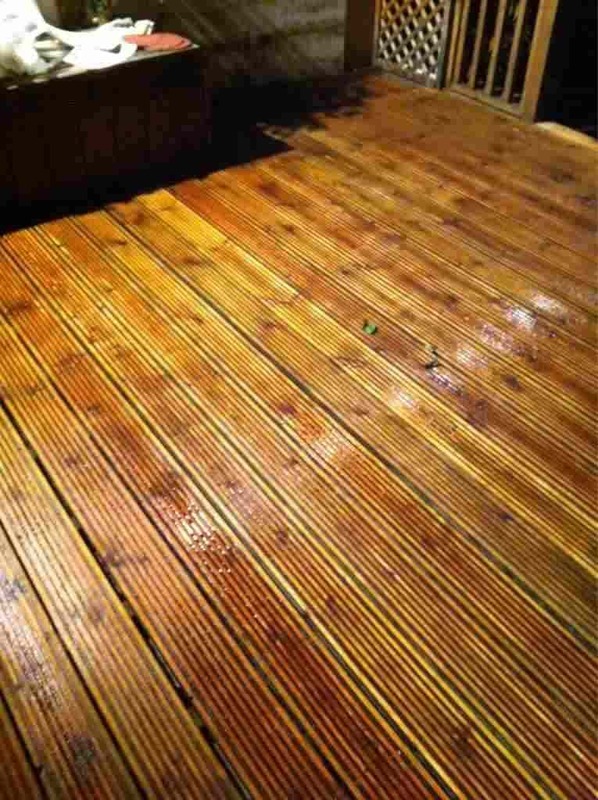 This customer chose Prepdeck, our professional wood stripper which removes previous coatings such as wood oils and stains (and including 100% acrylics) from all types of exterior weathered wood. You can also use it on outdoor furniture and fencing, cabins, sheds and summer houses and more – it’s not just for decks! 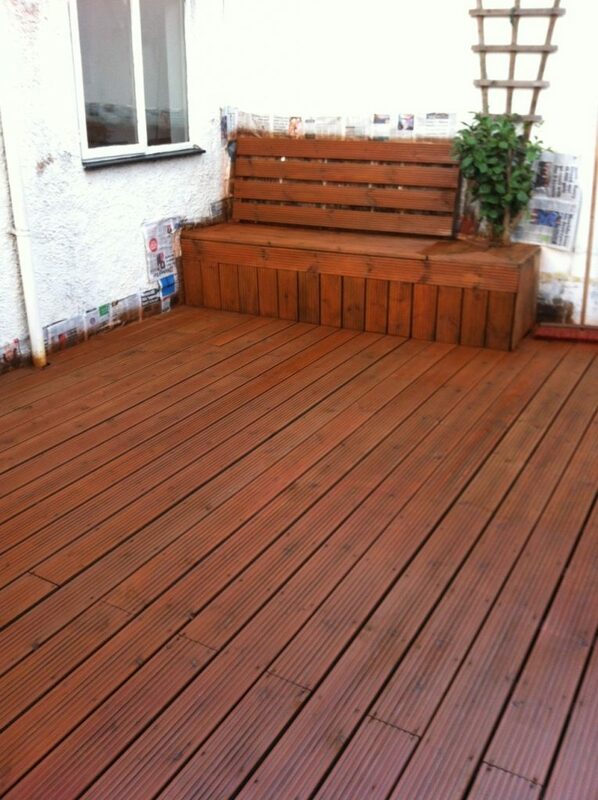 To use Prepdeck you must first remove any loose or flaking finish. You should then apply Prepdeck with a synthetic scrubbing brush working in areas that can be treated in 15-30 minutes and allow it to work. After the appropriate time test a small area with a scrubbing brush to see if the finish or dirt is lifting. If it is, scrub the area with a stiff brush, deck brush or use a pressure washer. Always work in the direction of the grain. Rinse it with lots of fresh water, using the highest pressure from the water source available (a helpful hint – using hot water makes this easier!). After stripping with Prepdeck it is necessary to neutralize the effects with Net-Trol which also has the effect of cleaning the wood and restoring its natural color. To apply it first wet the surface with fresh, clean water. Then apply Net-Trol and scrub the surface with a brush. Leave it to stand for 10-20 minutes. Then scrub the surface whilst rinsing with water or use a pressure washer. You should let it to dry for 48 hours before applying a finish. 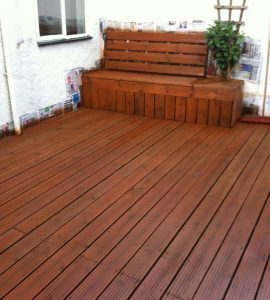 This customer then chose to treat their deck with Textrol oil, our penetrative wood treatment which prevents against damage from moisture, pollution and UV rays whilst still enhancing the natural beauty of the wood and allowing you to see the grain. It is applied wet-on-wet (meaning you don’t allow it to dry between coats) until the wood is saturated and protects from within. 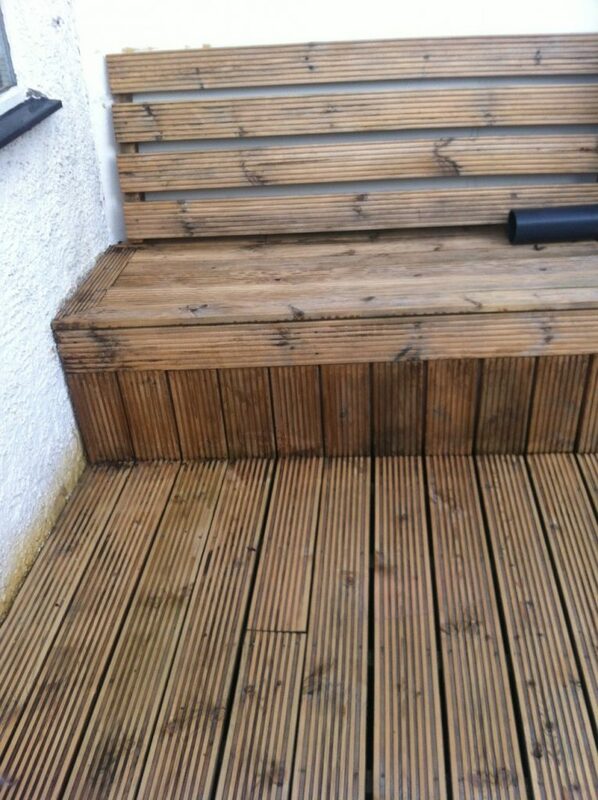 It can be applied with a brush, roller or sprayer and is easy to maintain with no sanding or stripping. The client was very happy with the result! If you have any questions about how to use any of our products or working out which products are best for you then please get in touch.